Barely a day has passed since the Champions League Final and controversies have spread in the media like fire. 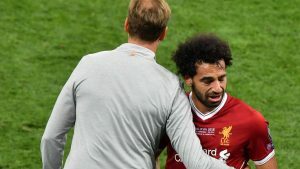 Whether it is Mohamed Salah’s injury incident, Liverpool’s goal-keeper’s blunders or Ronaldo’s hint at leaving Madrid, reactions from football fans and football experts are being seen in circulation. So, in this article we will discuss each news, rumor and the reactions that are going around in social media. Have Egypt’s World Cup Hopes Diminished? That is the question that is the most pertinent one after Mohamed Salah dislocated his shoulder in the Champions League Final against Real Madrid. Salah, who is currently the highest scorer for Liverpool this season was the only hope for the Reds and Egypt in the Champions League Final and the World Cup. 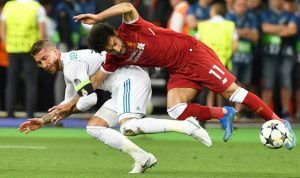 However, after grappling with Ramos the Egyptian star lost his balance and fell down due to which he dislocated his shoulder and Liverpool lost the match. Most likely, Salah is not going to featured in the World Cup for Egypt however, he is pretty confident that he would be able to make it. Although, Ramos personally went to Salah to apologize however, this injury sparked a huge controversy so much so that an Egyptian lawyer has launched a $1.2 billion lawsuit against the Spaniard. Crazy people believe the earth is flat. Even crazier people believe ramos didn’t intentionally injure salah. It is Liverpool’s goal-keeper, Karius who has come under scrutiny after his two blunders led Benzema & Gareth Bale to score two goals and win the Champions League Final for Real Madrid. The first goal happened when Loris Karius’s threw an underarm ball which was intercepted by Benzema which the Real Madrid forward shot in the nets. And, the next goal was also his fault as he dropped the ball after Bale attempted a bicycle kick which landed in the nets and Real won the match. 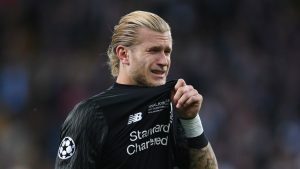 After these two blunders which potentially cost Liverpool the Champions League title, Karius posted an emotional message on Twitter. But, it looks like Liverpool fans are not going to forgive the Anfield goal-keeper as a social media rant has been started against the goal-keeper which is growing by every growing second. Police are looking into death threats sent to Liverpool goalkeeper Loris Karius and his family. Real Madrid won the Champions League 4 times in the last 5 years, however Ronaldo didn’t seem too content about it. Rather on the opposite, he gave a statement after the match that his future will become clear in the upcoming days. This is a clear indication that Ronaldo is thinking about leaving Real Madrid and if this happens then the Spaniard is definitely going to Manchester United where he is going to end his career. Now, it can be that Ronaldo is unhappy with the pay structure at Madrid as he is getting much less than his football rival Messi. Or it could be that he has decided to move on. However, nothing is clear as of yet as the football superstar has yet to decide on this future.